AJ came to FIX from the world of indie game development. After getting his master’s in Digital Media from Georgia Tech, he began working on his own business, The Stork Burnt Down, making original games. His first title, Home Improvisation, was a viral sensation and critical hit. 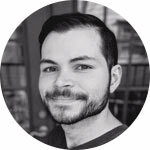 By bringing a game through the entire production process from start to finish, AJ quickly honed his abilities as a full-stack developer. The challenges that AJ has tackled as a developer are wide-ranging: he has created custom low-level networking frameworks for unique multiplayer experiences; high-precision physics systems that perform consistently at any speed; complex user interfaces that support multiple forms of input; and many other problems at all levels of abstraction. At each level in the stack, however, he is always focused on the experience of the end-user. Outside of development, AJ enjoys pursuing music. Although proficient in a handful of instruments, he mainly identifies as a composer: he has worked extensively with the Georgia Tech music ensembles on arrangements and original compositions, and often composes music for the games he works on.